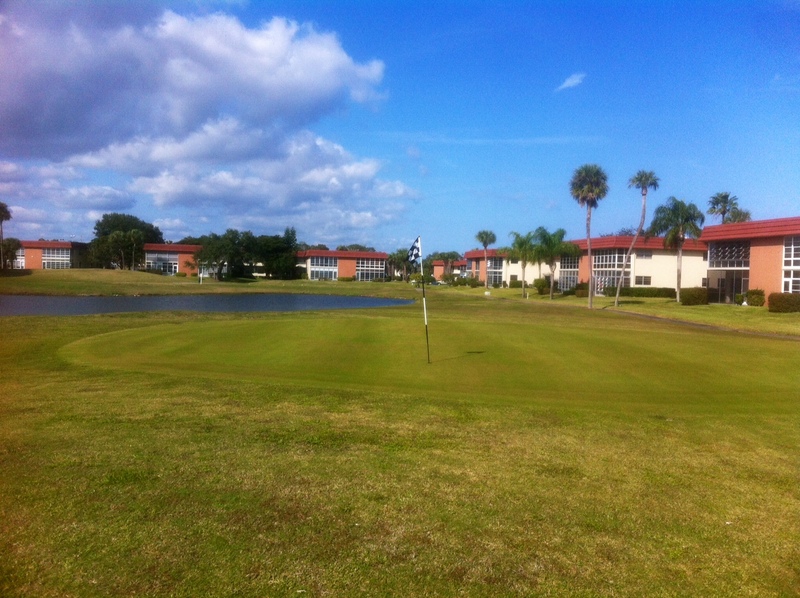 I worked at an apartment and golf course complex in the summers of my college years. I cleaned the clubhouse floors, bathrooms, and took care of light maintenance for the pool. Most of that work took place in the morning. In the afternoons I mowed grass around apartment buildings. The rest of my co-workers all had very specific duties: They either worked solely on the golf course or cut grass in the apartment areas. Somehow I was seen as being lucky because I had variety and could go in/out of the clubhouse at my discretion all day long. The female life guards sometimes needed assistance during the day, or so I hoped. I think of these memories while I my take solo walks in our development. The long-forgotten thoughts of a 21-year-old come raging back as I watch outdoor maintenance workers cut, trim, and mow. My light iPod plays the music of Crosby, Stills, & Nash, Neil Young, Paul McCartney & Wings, Yes, etc., just as the heavy Sony Walkman did in earlier days. As personal nostalgia goes, it’s nice. But if I’m truly honest with myself, I should admit that the 21-year-old in question probably hated every single day of that work. I recall thinking at the time how grateful I was to be getting an education that would someday free me from the desultory numbing of manual labor routine. I had no idea, of course, that some 35 years later I would often experience a similar sensation while wearing a custom-made suit and sitting at a desk in a climate-controlled office. Routine is as routine does. The outdoor maintenance staff were basically offered only one perk back then: Greatly reduced green fees to play on the golf course. Most of my co-workers eagerly took advantage of this benefit after work or on weekends. I didn’t play golf, and had absolutely no desire to return to the workplace in my off-hours even if it was for leisure. The golf course was something I saw only from the clubhouse or when I was pushing a mower. I never took up golf as an adult either. It seems like a perfectly fine pursuit, albeit an expensive one. For a brief time, before he suffered from injuries and personal demons, I followed Tiger Woods as he won all those open championships. I watched him with great interest as he symbolically broke down barriers in a sport that sometimes still clings to antiquated social mores of the past. He was inspiring and exciting. The rules of our development, as it is in other similar communities, strictly forbid pedestrians on the golf course. There are a few places where the walking paths briefly intersect the course, and in those areas only can one traverse what is technically the golf course. But the rule is absolutely clear. Except by permission, non-golfers are not allowed on the course. This is fine; I am by nature not someone who questions absolute authority or convention. This is why it may come as a shock and disappointment to report that your humble blogger found himself in violation of said rule. I am still reddened by the shame. This past Saturday morning I saw the most beautiful pink flamingo standing on an empty green searching for food. For those interested, it was the seventh hole — I believe a par four. With no one in sight, I decided to snap a picture of this creature. Inching ever so slowly up to the forbidden green, I began fumbling with my cell phone camera. I was irked with myself for not bringing my trusty Kodak for exactly this kind of opportunity. As I continued to fumble, Ms. Flamingo got wary of my presence and flew to more private surroundings. Dejected, I walked back to the walking path. Suddenly, I saw from the fairway two elderly women energetically coming my way on a golf cart. They drove around the green and headed towards the path where I was now walking. The larger one of the two — and also a dead ringer for Mrs. Peeves, my 7th grade math teacher, whose memory still conjures emotional trauma — called out for me to stop. I will spare you the full details of our conversation, but suffice to say I was caught red-handed. In direct language, the woman explained that under no circumstances are non-golfers allowed on the course. As she spoke, I did look closely for any clue that she might be someone of great authority for either the course or condo board. But as best I could tell, she was simply a patriotic and proud member of our community. Violators such as myself need to be reigned in early, lest I become a recidivist course walker. In my best Eddie Haskell, I quickly put the woman’s worries to rest. After first complimenting her on the fine golf cart she owned, I assured her that the last thing I wanted to do was to break any of the community rules. Our talk was cordial and thankfully short. Just as Winston Smith felt in Orwell’s story, I now love our local Big Brother. Care to join me for a walk? They were members of the golf police! Good thing they didn’t spank you! But did it cross their minds? That’s the scary part! Damn straight! I’m not having a repeat of the “third napkin taking” at Starbucks! Makes me think of a teacher who threw chalkboard erasers.